Rachel Dix-Kessler received her Bachelor of Arts in Media Communication Studies with a focus in Public Relations in 2017. 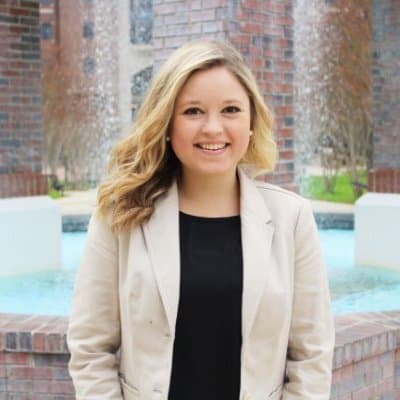 During her time at FSU, Rachel took advantage of opportunities to advance her skills in the PR field. She was the Public Relations and Event Planning Director for Her Campus FSU, interned for BowStern Marketing Communications, Sachs Media Group (2013 and 2017), ran her own freelance business and took a freelance communications position for finder.com, a personal finance website based in New York City. Now, Rachel is working full-time with finder.com as the Public Relations and Content Coordinator. 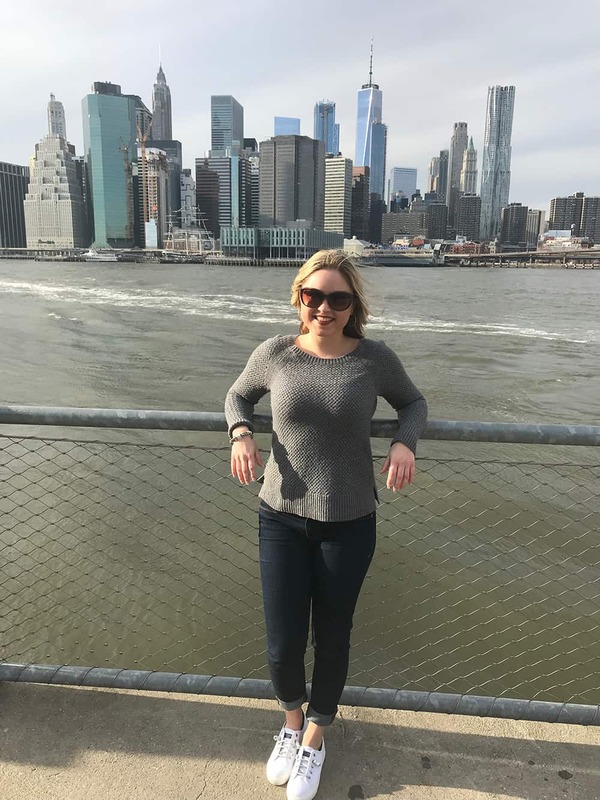 From writing pitches and blogs to cultivating relationships with journalists and media and strategizing ways to build brand awareness for finder, Rachel truly feels she has found her dream job. I’m from Sopchoppy, Florida, a little city 45 minutes south of Tallahassee, and I currently live in New York City. I look for inspiration in the stories of others. I love meeting new people and learning why they are where they are today and hearing of the obstacles they’ve overcome. My mom is the most admirable person in my life. She had to take on the role of mom and dad when my dad passed away and, despite the circumstances, my mom never allowed me to let doubt get in the way of my success. She is my biggest motivator and my biggest fan, and it is because of her that each of her four kids are living their dreams. Getting accepted to the Public Relations program at FSU was one of the best things to happen to me. Dr. Merle, Professor MacNamara, Sandy Poreda and Dr. Rayburn went out of their way for every student in the PR program, and really pushed us to discover new skills and overcome unique challenges. In addition to the amazing faculty, the program itself provided me with hands-on experience many programs don’t offer. My most memorable classes are Dr. Merle’s PR techniques course, where we developed a campaign for an actual client, and Professor MacNamara’s Speech Writing course, where we developed a speech for the Legal Aid Foundation. Before I entered the PR program I didn’t have as much confidence in my skills as I do today. It was because of the Professors and the work that I felt confident enough to pursue other PR opportunities, like the one with finder.com. Had I not pursued these opportunities I’m not sure I would’ve achieved my dream of working in NYC and secured a job I love so early in my career. Working in PR has made me realize how much is changing in the world, and how heavily those changes influence the communications industry. I definitely understand and appreciate earned media a lot more. Blueberry KIND Breakfast Bars and coffee normally gets me through anything thrown my way. My first month at finder our Drunk Shopping study was picked up by major news outlets, such as CBS and ABC7. My supervisor, Jennifer McDermott, was asked to speak about the study on CBS and she brought me along to watch the interview. Not only was this a great experience, but it also made me proud to know that I am working for a company that allows me to be a part of these amazing opportunities. “Act as if, and figure it out.” Whenever I doubted myself or was nervous when taking on something new my mom would tell me to act as if I knew how, and then figure out how to do it. I love working and I love what I do, so sometimes I have to force myself stop. Every day after work I go home, change and then I hit the gym. The gym has become a staple in my life and really helps me manage a lot. Aside from that I try to plan some fun weekend activities in advance with my friends. Stop stressing so much. As long as you work hard and are dedicated then things are going to work out as they should. Posted in CCI Alumni News, CCI Home Page, CCI in the News, CCI News, Media Communication Studies, Public Relations, SCOM Alumni News, SCOM News.